The V5 Robot Battery is the next evolution of the VEX EDR NiMh Battery, which will provide you consistent performance every time you power up your robot. This Lithium Iron Phosphate (LiFePO4) battery is equipped with circuitry and control to allow for higher sustained power and more reliable function. 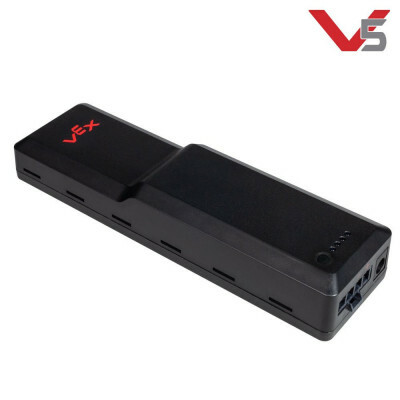 The V5 System as a whole is designed to produce identical motor performance at any battery charge level. This means that the same battery can be used for multiple competition matches or class periods before needing to be recharged. LiFePO4batteries are proven to offer longer life cycles, and are safer than Lithium Ion batteries.